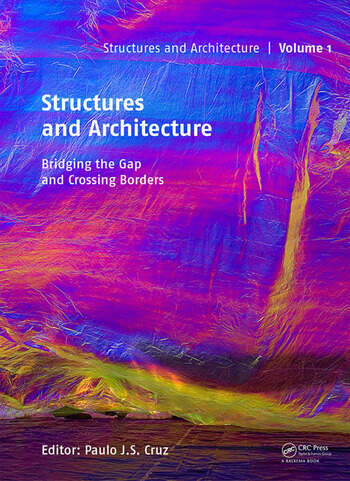 Structures and Architecture – Bridging the Gap and Crossing Borders contains the lectures and papers presented at the Fourth International Conference on Structures and Architecture (ICSA2019) that was held in Lisbon, Portugal, in July 2019. It also contains a USB flash card with the full texts of the lectures presented at the conference, including the 5 keynote lectures, and almost 150 selected contributions. The contributions on creative and scientific aspects in the conception and construction of structures, on advanced technologies and on complex architectural and structural applications represent a fine blend of scientific, technical and practical novelties in both fields. ICSA2019 covered all major aspects of structures and architecture, including: building envelopes/façades; comprehension of complex forms; computer and experimental methods; futuristic structures; concrete and masonry structures; educating architects and structural engineers; emerging technologies; glass structures; innovative architectural and structural design; lightweight and membrane structures; special structures; steel and composite structures; structural design challenges; tall buildings; the borderline between architecture and structural engineering; the history of the relationship between architects and structural engineers; the tectonic of architectural solutions; the use of new materials; timber structures, among others. This set of book and USB flash card is intended for a global readership of researchers and practitioners, including architects, structural and construction engineers, builders and building consultants, constructors, material suppliers and product manufacturers, and other professionals involved in the design and realization of architectural, structural and infrastructural projects. Keynote Lectures. Technical Contributions. Mini-Symposium & Special Sessions. Educating architects and structural engineers. Glass structures. Innovative architectural and structural design. Lightweight and membrane structures. Other. Special structures. Steel and composite structures. Structural design challenges. Tall buildings. The borderline between architecture and structural engineering. The history of the relationship between architects and structural engineers. The tectonic of architectural solutions. The use of new materials. Timber structures. Paulo J.S. Cruz is Founder and President of the International Association of Structures and Architecture since 2016. Chairman of the former international conferences in this field (ICSA2010, ICSA2013 and ICSA2016). Faculty member of the University of Minho since 1989, initially at the Civil Engineering Department, where he was Head of Department from 2003 to 2004. Dean of the School of Architecture from 2004 to 2011. Full Professor of Construction and Technology at the School of Architecture since 2008. Pro-Rector of the University of Minho since 2017. Graduated in Civil Engineering by the University of Porto in 1987; MSc in Structures by the University of Porto in 1991, and PhD in Construction Engineering by the Polytechnic University of Catalonia, Barcelona, in 1995; Habilitation in Structures by the University of Minho, in 2005. Since 1987 he has conducted research in the domain of special structures. After his PhD he started in the field of steel and composite structures, progressively devoting his research interests to the area of bridges, particularly concerning safety, inspection, assessment and monitoring. Since his involvement with the School of Architecture, he has bridged the gap between architecture and structural engineering, promoting the efficient use of the traditional materials and their judicious combination; exploring innovative technological, constructional and structural solutions and establishing effective collaborations with the construction industry. He is the President of the Design Institute of Guimarães and Coordinator of the Advanced Ceramics R&D Lab, aiming the application of additive manufacturing techniques to the built environment.